6,390 others viewed this post. 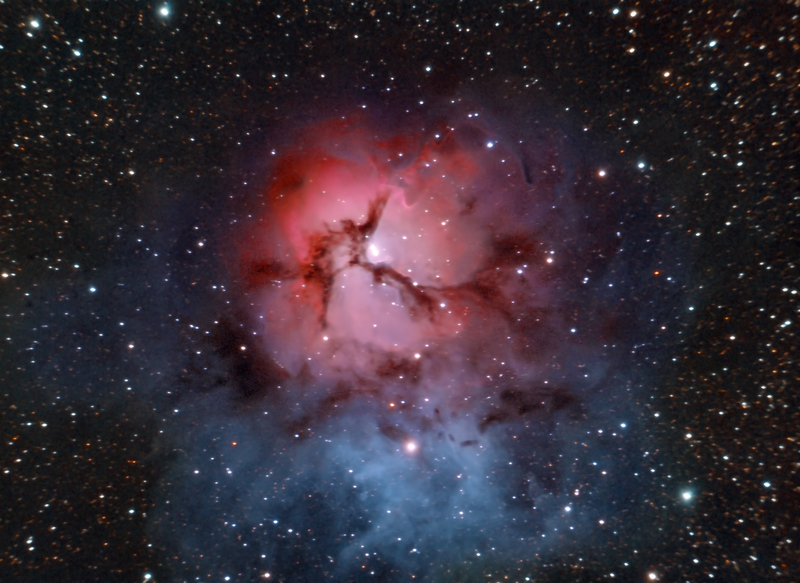 The Triffid Nebula, so called because the red cloud appears to split into three, is a specially colourful deep space object as it is both red and blue at once. This image is a bit rough, only 40 minutes of exposure, but it still shows the finer dusty details of this small pair which are quite striking! I had posted the Trifid Nebula not long ago but this new version has been photographed with 400% more magnification (2350mm) so appears a lot larger and detailed.